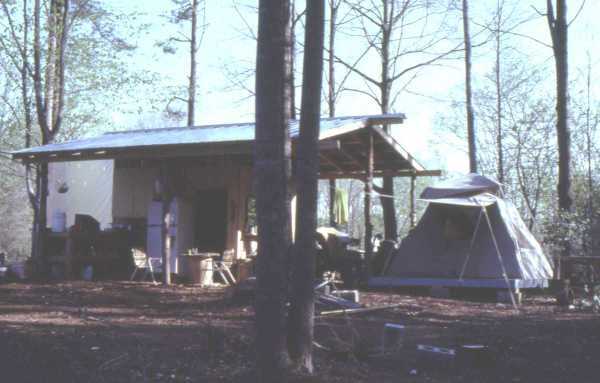 The tent that Alex and Betsy Hitt called home in the early 1980s. Alex and Betsy Hitt arrived in North Carolina in 1980 with their new degrees in soils (Alex) and forestry (Betsy) from Utah State University. At that time, there was no “farm-to-fork” movement. There were just big farms and small farms. All of them were hustling to sell their fruits, vegetables and meats wherever they could. 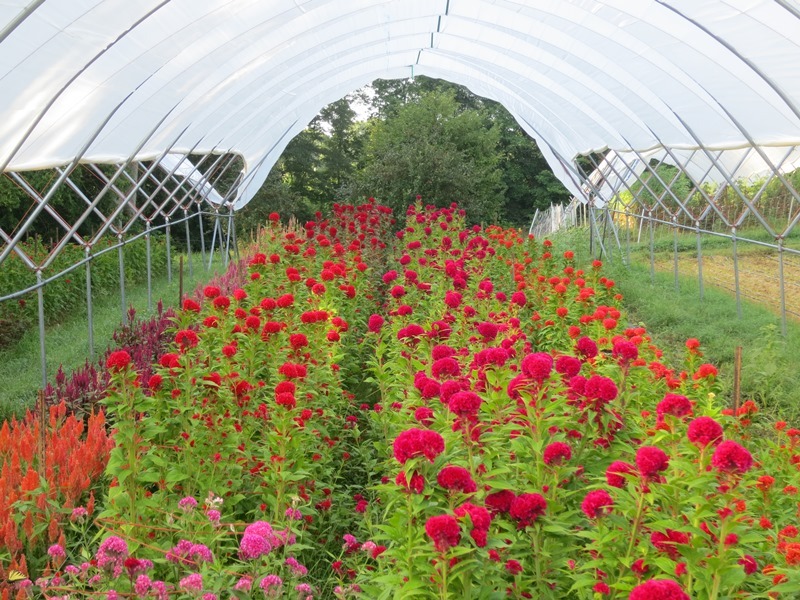 Nearly 40 years after planting the first crops, Peregrine Farm has become a fixture of the state’s thriving farm-to-fork community. Each year, Peregine Farm takes center stage at the 10th annual Farm to Fork Picnic Weekend, June 2-4, 2017. The weekend is organized by the Center for Environmental Farming Systems (CEFS). It brings together independent farms and the North Carolina restaurants whose chefs create seasonal menus from the freshest possible local ingredients. In addition to their involvement in Farm to Fork Picnic Weekend, Alex and Betsy serve on CEFS’ Board of Advisors. Sample dishes prepared by some of North Carolina’s leading chefs using fruits, vegetables and meats grown by some of the area’s most talented farmers. Alex Hitt checks on Peregrine Farm’s ranunculus flowers. Peregrine Farm has been taking part in Farm to Fork Picnic Weekend since the very first event in 2007. Since then, Alex has watched the farm-to-fork movement expand. It went from a niche market of high-end restaurants to a thriving network of farmers’ markets, eateries and grocery stores. Farm-to-fork has become an industry that benefits North Carolina on a number of levels. Access to nutritious fresh foods is probably the most obvious perk for people in our state. But the economic gains are equally important. Independent farms, restaurants and even grocery stores make up a major share of the state’s small businesses dependent on the state’s local food economy. Alex sees another important reason North Carolinians support farm-to-fork. To support the physical and financial health or the state, Blue Cross and Blue Shield of North Carolina (BCBSNC) sponsors Farm to Fork Picnic Weekend. BCBSNC also supports a number of other farm-to-fork initiatives, including planting community gardens in all 100 counties of the state. 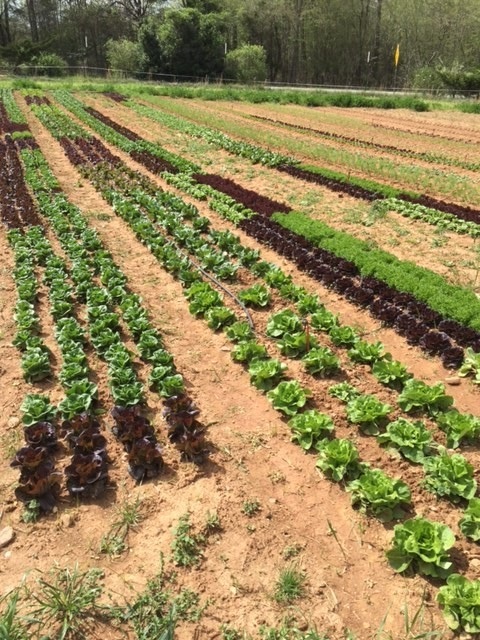 The spring lettuce crop looks fork-ready. Community gardens tend to be at the smaller end of the farm spectrum, along with Peregrine Farm. The Hitts cultivate about four acres, which is just the way they want it. Alex and Betsy approach their work with a hefty dose of practicality, even serenity. They weren’t fazed when 2017’s warm start was followed by much colder snaps in early spring. The Hitts chose the name Peregrine Farm in 1981. At that time, they couldn’t have known that the farm’s slow and steady rise would mirror its namesake bird’s recovery from near extinction in recent decades. Both farm and falcon have found ways to thrive in a finely balanced ecosystem. 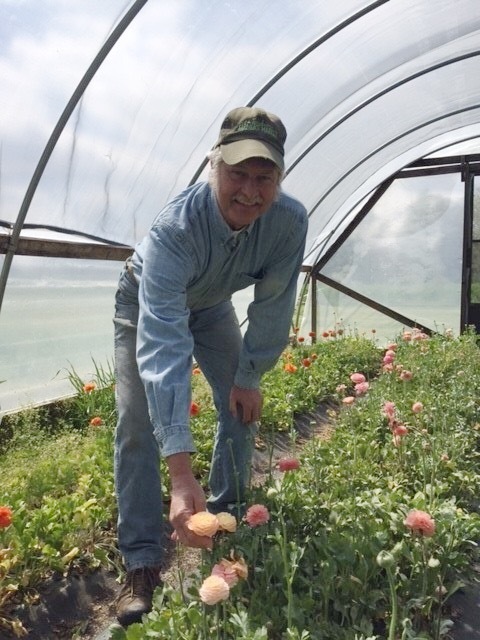 If you’d like to try some of what Alex and Betsy Hitt are growing at Peregrine Farm, visit the Carrboro Farmers’ Market on Saturdays year-round or Wednesdays between April and November. For Farm to Fork Weekend tickets, visit CEFS’ Farm to Fork Picnic Weekend website. Farm to Fork Picnic Weekend is a fundraiser for beginning farmer programs at the Center for Environmental Farming Systems (CEFS) and the W.C. Breeze Family Farm Extension and Research Center. Training and supporting new farmers is critical to CEFS’ mission of developing and promoting just and equitable food and farming systems that conserve natural resources, strengthen communities, improve health outcomes and provide economic opportunities in North Carolina and beyond. For more information, please visit www.cefs.ncscu.edu.